At the session of the Government on March 1, the Head of the State was informed on the preparation to the meeting, which would be held in Bucharest on March 4. 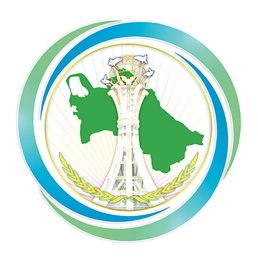 The agenda of special meeting of the heads of foreign departments of Turkmenistan, Azerbaijan, Georgia and Romania will include number of relative subjects related to the increment of cargo transportation via Turkmenbashy, Baku, Poti, Batumi and Constanta ports, stimulation of cooperation with all interested sides including the European Union, creation for four-side working committee for the implementation of this project and other subjects. Discussion of the capabilities of using of digital technologies and arrangement of informational exchange is planned for improvement of quality of transport services. Final document – the Bucharest declaration, is planned to be adopted by the outcomes of the meeting. Having highlighted the role and importance of transport sector as one of the key vectors of the world progress in long-term perspective, President Gurbanguly Berdimuhamedov noted that presence of modern, integrated, balanced and high technology infrastructure in this sphere is an actual necessity in the context of achievement of the Sustainable Development Goals. It corresponds with strategic interests of the world community and is an integral condition for improvement of the world economic relations, stimulation of investment activity, provision of economic growth and social wealth. From its side, Turkmenistan makes specific proposals aimed at the formation of combined transit and transport and logistic systems, the President said. This is about the creation of ramified multimodal infrastructures covering Caspian basin, continental Eurasia with entry to marine terminals of Black and Baltic Sea regions, South and South-eastern Asia, Middle East and Asian Pacific. Afghanistan – Turkmenistan – Azerbaijan – Georgia – Turkey Lapis Lazuli transport corridor, which has great perspectives to turn into trade, economic and cultural bridge between Asia and Europe, is among important projects that has been initiated. Having focused on the importance of the project of Caspian – Black Sea international transport corridor, President Gurbanguly Berdimuhamedov gave specific assignments on proper preparation to the participation in coming meeting of foreign ministers in Bucharest.